The City of Newburgh welcomed its Broadway tree during its official dedication and tree lighting ceremony on Wednesday, December 14, 2016. 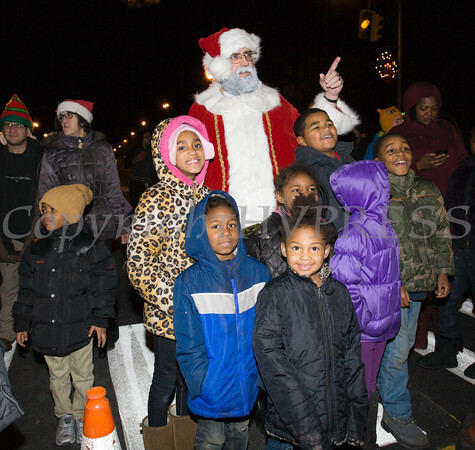 Children welcome Santa Claus as the City of Newburgh welcomed its Broadway tree during its official dedication and tree lighting ceremony on Wednesday, December 14, 2016. Hudson Valley Press/CHUCK STEWART, JR.